A documentary so sweet it makes sugar taste just like salt. Over the past few years there’s been a proliferation of what I call “pop docs.” These are documentaries that are focused not on something “serious,” but rather a cultural phenomenon or a popular celebrity figure. Some examples are The Rock-a-fire Explosion, The King of Kong and Raiders! : The Story of the Greatest Fan Film Ever Made. These docs are meant first and foremost to entertain. 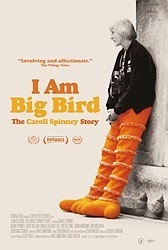 I would also put I Am Big Bird: The Caroll Spinney Story in that category and it’s a fine example. The movie is very entertaining. Recently I had a conversation before a movie with our own Patrick Bromley about judging the quality of pop docs. In many cases the subject matter of a pop doc carries the movie and the documentary succeeds in being a fun experience despite not being a technically good documentary. After giving it some thought I think I figured out the way to determine the quality of a pop doc, which is “do you know everything you could possibly ever want to know about this topic or person when the pop doc concludes?” If yes, the movie is a good documentary and if not, well it’s not exactly a good documentary despite possibly being very entertaining. I think I Am Big Bird is a good documentary. 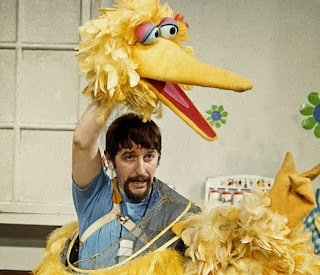 When it concluded, I knew just about all I’ll ever need to know about the man in the suit (Carroll Spinney), the trajectory of Sesame Street in popular culture and the legacy of the Big Bird character. That’s really all you could ask for. It’s a fine screen biography and few pop docs are as kind or sensitive as this one. 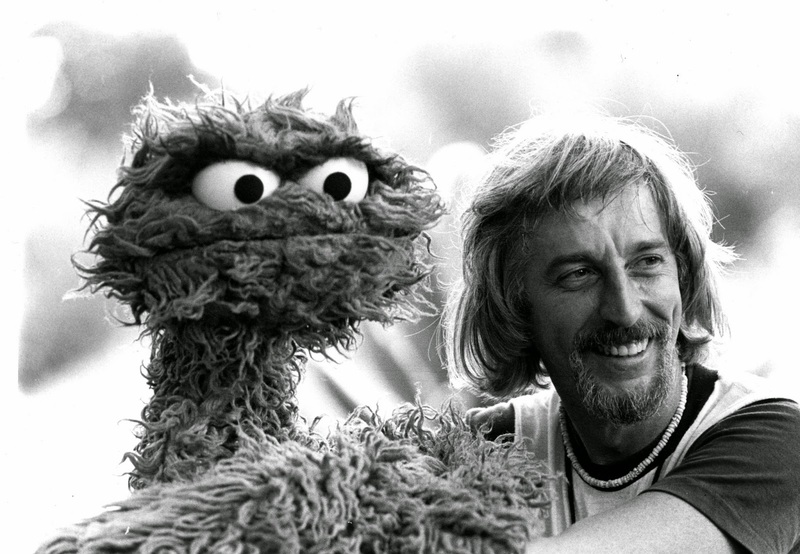 I Am Big Bird is a profile of Spinney, the 80-year-old puppeteer who has portrayed Sesame Street’s Big Bird and Oscar the Grouch since the show’s first season. Using home videos and archival footage dating back to the 1950s (Spinney is said to be a person who films everything), I Am Big Bird delves deep into the iconic character and answers why Spinney has no plans of retiring the characters he adores. Full disclosure – this movie is right up my alley. I love the Muppets and I loved Sesame Street as a child. I have a great deal of nostalgia and affection for the topic of this documentary. 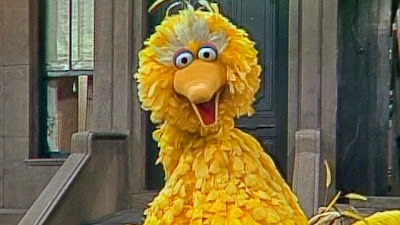 I’ve felt more a part of this subculture than I even have of Judaism (I’m not kidding), so it’s with that point of view I entered I Am Big Bird. In other words, I was going to be a tough critic if the documentary didn’t do the topic justice. Luckily it does, and much of that is due to Spinney’s involvement. It’s as if he ghost-directed the movie (the film was directed by Dave LaMattina and Chad N. Walker). We learn all about Spinney’s turbulent childhood where he was the subject of ridicule from his classmates, his troubled relationship with his father, his early days of puppeteering, the difficulty he had performing well during Sesame Street’s first season, his romantic relationships, his relationship with Jim Henson, his close brushes with death and a sweet relationship with a young Chinese girl he developed (along with his wife) when they were on-location shooting Big Bird in China. This is a full course meal of a documentary. For the first 45 minutes of the film I was sort of with it but a bit disappointed. It seemed a little generic, a little neat. But then the second half really goes to another gear with sequences that just wrecked me, like Spinney recalling how he was almost an unfortunate soul on the Space Shuttle Challenger (the only reason he was not on that ill-fated flight was because the Big Bird costume was too big to fit into the shuttle), his reconciliation with his dying father and the Jim Henson memorial where (in the Big Bird costume) Spinney sang “It’s Not Easy Being Green.” These scenes are so sensitively handled that it really moved me and made the documentary one of my favorites of recent years. I especially like that the movie doesn’t force feed a message when one is not really needed. Honestly, how many people’s lives (or living tributes) come form-fitted with a life lesson? I’m guessing not many. This is a meandering feature just like how most lives meander and flow from here to there. If you’re a fan of Sesame Street or Big Bird, I strongly recommend this pretty great pop doc that succeeds admirably on its intentions. My only complaints about it (besides the pokey first half) are a score that is always swelling like each discovery was the climax of Forrest Gump and not enough time spent on how Sesame Street’s introduction in the radical late-1960s provided an interesting counterbalance to what was happening in the United States at the time. That can be easily forgiven. This is not the type of documentary that will knock your socks off with technique or filmmaking prowess. It’s simply a sweet man getting the sweet doc he deserves and that’s all that matters at the end of the day.